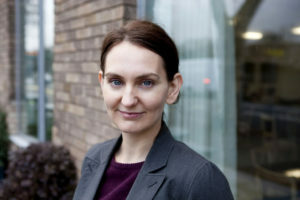 Intervention is part of the Rapid Respond Unit project in Liverpool, which sees national and international artists, rather than professional journalists, acting as reporters and correspondents. 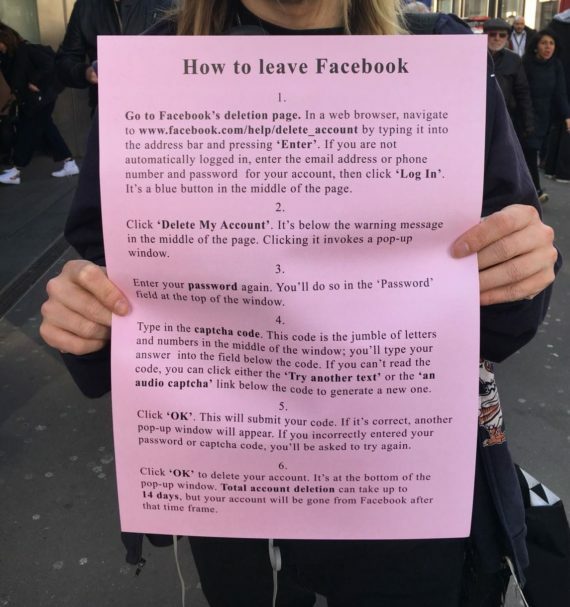 Turner Prize winner Jeremy Deller has created a new poster featuring a six-point set of instructions on how to delete accounts on the social media platform Facebook. On Wednesday 21 March, 1,000 of the works were handed out at Euston Station, London and at Facebook’s UK headquarters in Rathbone Place, London. 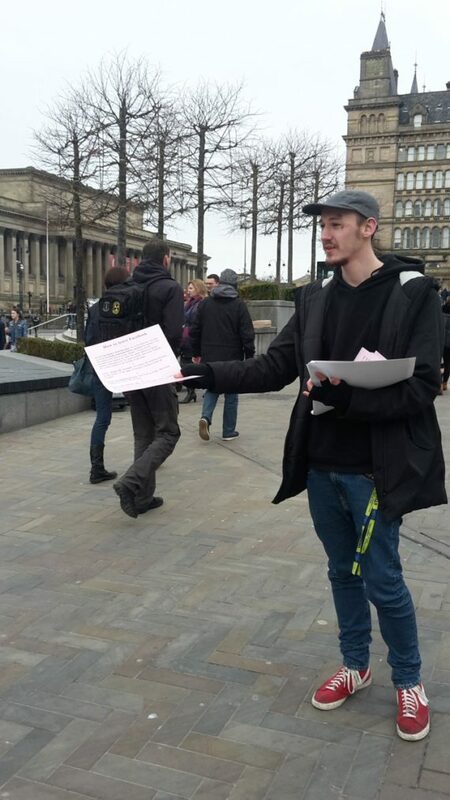 Simultaneously, a further 1,000 were distributed at Lime Street Station, Liverpool. The intervention was part of the Rapid Respond Unit project in Liverpool which sees members of the public and artists, rather than professional journalists, acting as reporters and correspondents that respond to the live news agenda in real time. 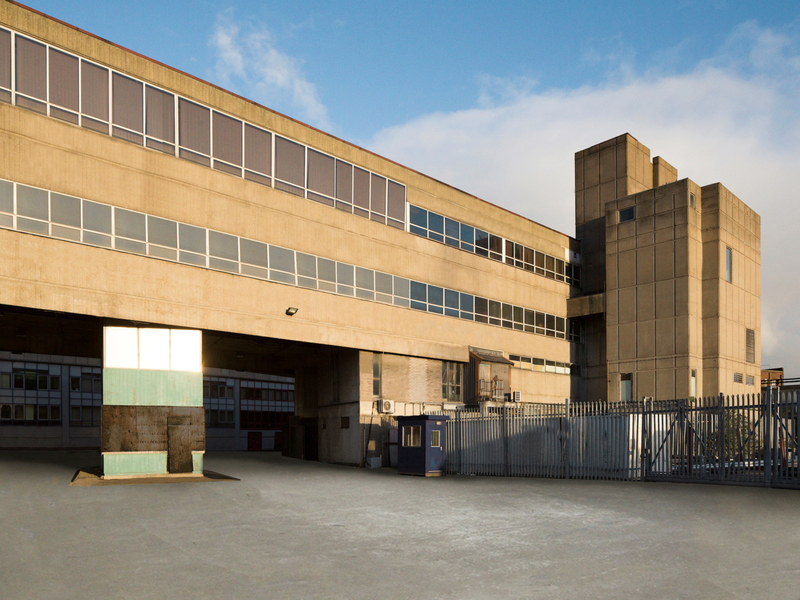 20 collaborations will be commissioned by Culture Liverpool for the project over the next year. Deller’s work can be seen as a direct response to the Cambridge Analytica data mining scandal. An investigation by the Observer revealed that the personal data of around 50m Americans was harvested from Facebook and improperly shared, with the data analytics firm working with Donald Trump’s election team and the winning Brexit campaign. The Observer report suggests that Cambridge Analytica used the data to build a powerful software program to predict and influence choices at the ballot box. It could profile individual US voters in order to target them with personalised political advertisements. In response to the investigation, Facebook CEO Mark Zuckerberg yesterday broke his five-day silence on the scandal and announced Facebook will change how it shares data with third-party apps, admitting “we made mistakes” and that the policies that allowed the data to be misused were “a breach of trust between Facebook and the people who share their data with us and expect us to protect it”.